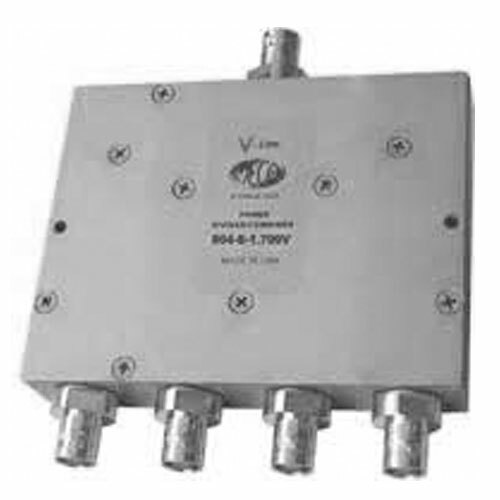 804-8-1.700V .698-2.7 GHz 4-Way Pwr Divider Combiner, BNC Female Ports - Talley Inc. Increased power rating and extended frequency range! 2-way thru 16-way 40w, Power Divider/Combiners are optimized for excellent performance across all wireless bands from 0.698 - 2.7 GHz and their rugged construction makes them ideal for both base station and in-building wireless systems. Always available from STOCK - 4 weeks ARO in N, SMA, QMA, BNC or TNC connector configurations for your next generation equipment deployments. Made in USA - 36 month warranty.